The well-attended Abu Dhabi Grand Prix is always a very popular finale to the Formula 1 motor racing season. In is usually held in November in the beautiful setting of Yas Island where more than 60,000 people are expected to enjoy a fantastic few days. Who will be the new F1 world champion? That’s the million-dollar question! The Grand Prix takes place in the evening with the sunset providing a magical background. Some of the greatest F1 drivers tear around the circuit at the Yas Marina at hair-raising speeds. CharterWorld provides the direct opportunity to rent a Abu Dhabi yacht charter boat to accommodate you and/or your corporate associates at this important F1 event. Please contact us here at your earliest to ensure you have access to the best luxury yacht charters available. Charter a luxurious superyacht so you can experience the Abu Dhabi Grand Prix in all its glory. Take in the vibrant atmosphere and excitement in total comfort aboard a charter vessel then enjoy a glamorous party on board. The track wraps itself around the island’s spectacular marina which has lots of mooring space, ideal for superyachts. With its waterfront setting, Yas Marina definitely rivals Monaco and Singapore when it comes to hosting Grand Prix races. The track itself has a huge hairpin seating area covered to protect spectators from the hot sun while a pit building has forty garages that are all air conditioned. 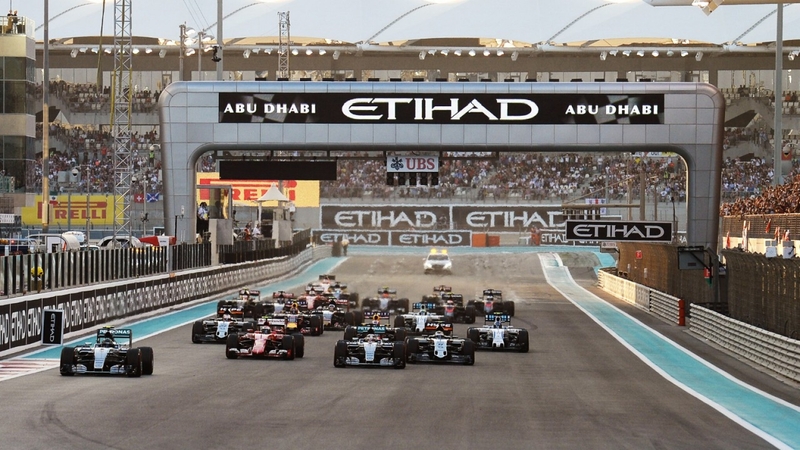 The Abu Dhabi Grand Prix should definitely be on your charter yacht itinerary for an action-packed vacation at sea.